Find Better Ideas, Faster ® with a custom skincare packaging trend report, our PRO Dashboard and 80+ categories of premium trend reports. 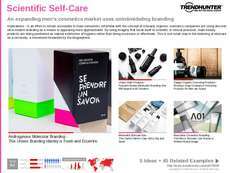 In the Skincare Packaging Trend Report, the wrapping, bottles and packages of products like lotions, soaps, exfoliants and masks are examined. The power of medical packaging is outlined, such as skincare products that come in pill form or scientific packaging that increases consumer trust and reliance. 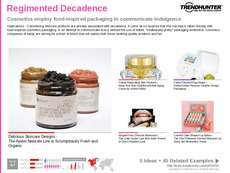 Packaging that resembles food is also popular as it represents indulgence and luxury, while eco packaging promotes simple and natural ingredients. The report also examines the rise of men's skincare and masculine packaging. 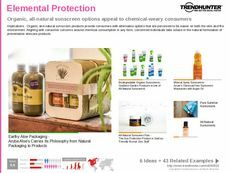 Packaging designers for skincare products as well as other cosmetic and beauty products will all benefit from this report. Marketers and advertisers for skincare products for both men and women will learn how to brand products as natural, manly, luxurious or scientific. The Skincare Packaging Trend Report illustrates the power of packaging and visual marketing in beauty and cosmetic products like lotions, soaps and masks for men and women.